Each year one Finlandia student is chosen to do an international internship with Ponsse in both their North American headquarters in Rhinelander, Wisconsin, and the main headquarters in Vierema, Finland. 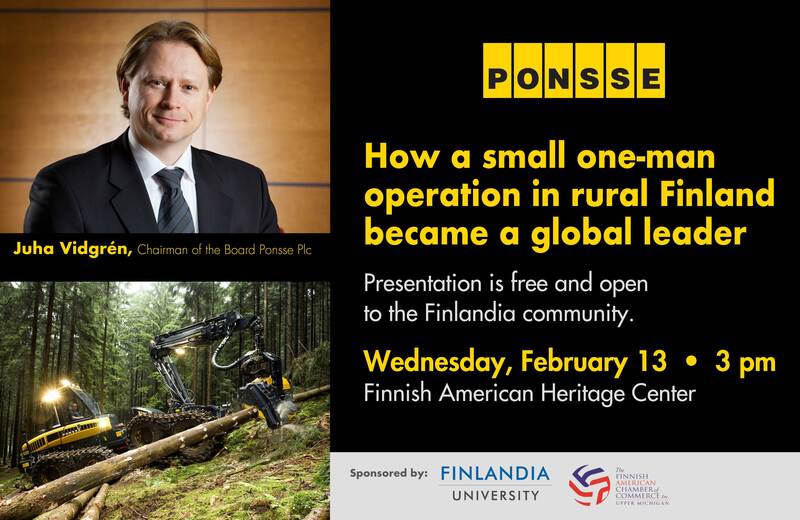 “Finlandia has a great relationship with Ponsse and we are pleased that Juha is able to take the time out of his busy schedule to visit us,” said Manninen. Learn more about the International School of Business at Finlandia University at finlandia.edu/business.